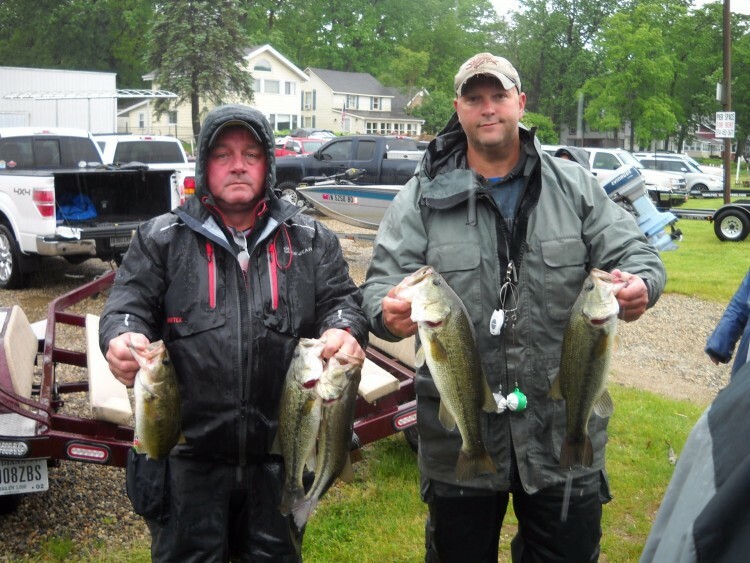 How it Happened: Upon their return to Oswego they ended up hooking their largest ​​ of they day which turned out to be the second big bass of the day. Don said they were fishing a Texas Rigged Lizzard. 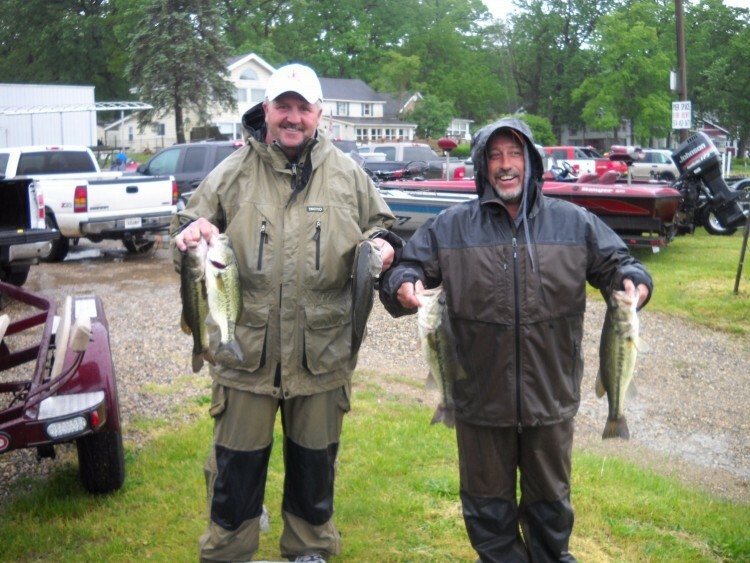 The R & B Bass Circuit returned to Tippecanoe. The last time the circuit was at Tippecanoe was in May of 2016 for the Western Division. That day turned out to be the coldest day in 115 years. 3) At the lock, there was sufficient water going over the top of the lock that Mike felt the boat would go over without locking through. He was right, The boat briskly floated over just fine. The lower unit on the other hand. did not... The gas motor caught the lock and promply ejected mike out of the front of the boat. After reentry, The gas motor started and they made it back to the ramp. ​​Fishing the break outside the ramp they were able to upgrade one more time on a drop shot. 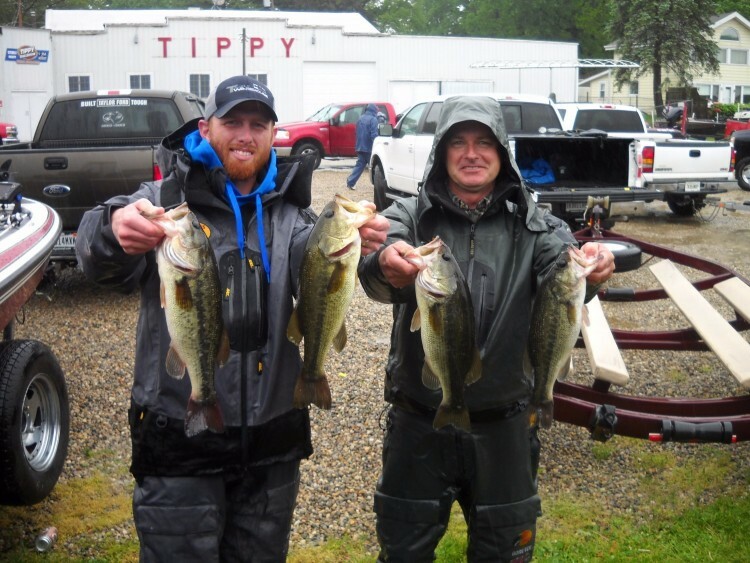 How it Happened: John and Jon started the day fishing a main lake point on Tippy. John was fishing a drop shot and Jon was throwing a Centipede on the other side of the boat. 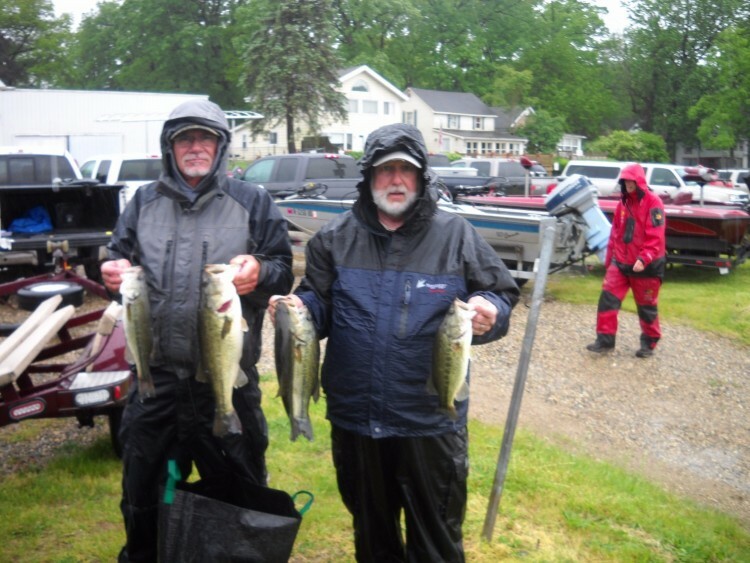 The two had a limit on the main lake but continued efforts failed to upgrade the catch. How it Happend: Heath said that he had scouted the area he wanted to fish the day before. 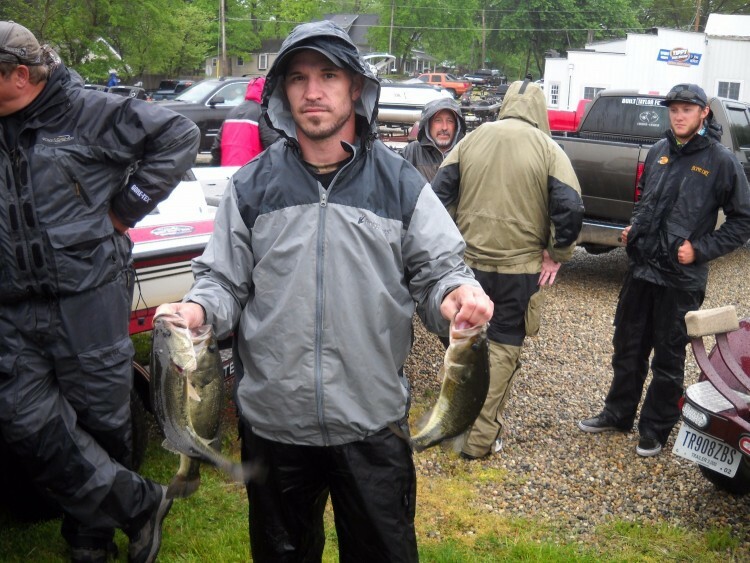 The channel held probably 70 beds so he marked 39 that he felt would be "easiest to catch". He and Andrew spent the entire day in one channel off Tippy. "We ran straight there in the morning, put a limit in the boat in 35 minutes and never started the big motor until it was time to head back to weigh in" Heath said. had scouted 80% of the channels in the chain marking the best 12 - 15 fish he could find. Late Friday Bear called him with news that there was another tournament launching on Kuhn Saturday morning his heart sunk concerned that their plan might fall apart. Mike said that ​​the marked fish held tight, and in only one instance did they run into another angler fishing for one of their marked beds. ​​Most of the fish they caught were taken by Bear on a drop shot off beds. Mike said their biggest fish, a 4.2 LB Largemouth was at the mouth of a channel on the corner of a seawall. Thankfully nobody had driven down that channel as the fish was in plain sight. 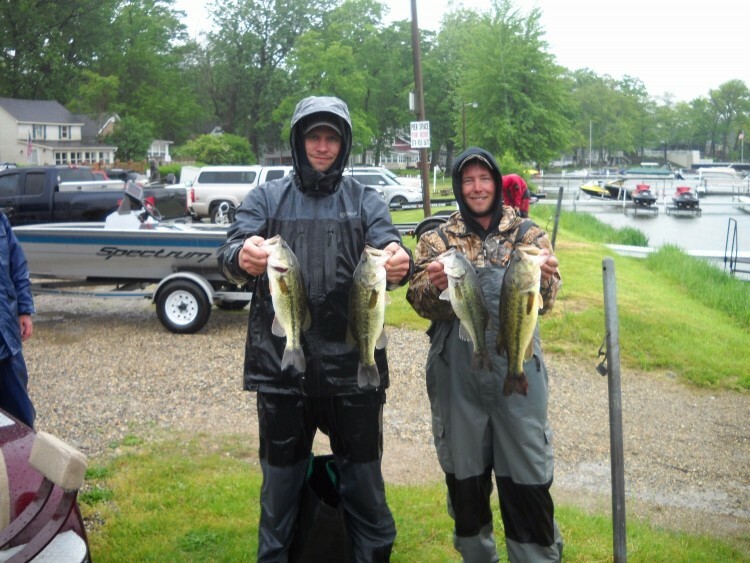 ​​Their second biggest was guarding a fry ball and finished their limit on Big Barbee. And then it almost fell apart X3; 1)The gas motor on the boat flooded and wouldn't start. ​​ 2)They were running the trolling motor hard to get back through Grassy Creek when it blew a fuse. How it Happened: Don and Kevin ran to Oswego first thing in the morning. Don concentrated on fishing the 4-6' side of the boat and Kevin was fishing the 6-8'. 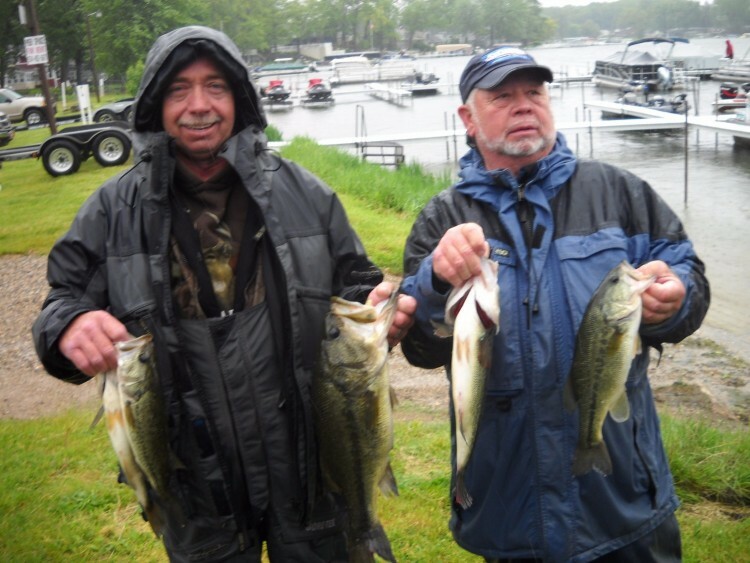 The two managed to put a limit together before heading back to Tippecanoe to hit a couple of main lake beds they had marked. The beds were empty so they went back to Oswego. How it Happened:​ Frank spent Friday scouting and marking bedding fish. There were lots of fish in the channel and the two picked through them to put together their limit. ​​Frank said that their faith in the Fish doctor isnt just for bed fishing. Anytime he sees a fish out ahead of the boat he presents it with the Fish Doctor. Frank said, "if its going to eat anything, it will eat a doctor." Through out the day, they we able to up grade. Their​​ biggest fish was hanging out in a bed under a weed mat. Heath used a lure to pull the weeds back and expose the bed. The fish bit three casts later. How it Happened: ​​Frank and Doyle were cruising down a channel when Doyle spotted a big fish far under a dock. He skipped a Double Ringer to it and it bit. The fish came out and then they relized just how bit the fish was. Knowing that they had to make a change to give themselves a chance at cashing a check they headed for the channels. ​​Casting Centipede and a jig there were able to cull all but one of their main lake fish out. Having started on the main lake they feel they left 7 or 8 pounds of upgrades in the channel just not having enough time to spend to coax them into going for a boat ride.